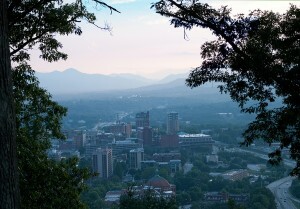 I took a walk in downtown Asheville this afternoon. I don’t get out of the home/office much and this was a well needed change of scenery for me. It was cold and windy… more conducive to walking quickly rather than taking a leisurely stroll. I wasn’t picking up the greatest vibes anywhere and was disappointed in the lack of smiles and greetings from sales staff in the places I stopped. If I were a tourist, I would not have gotten the best impression of our downtown. I’m extremely loyal to our downtown and want to see it continue to succeed. However without great customer service, there is a good chance people (especially tourists) will go elsewhere. Before I left, I stopped in to see my buddy Scott at Sister McMullen’s Cupcake Corner. I picked up a few black and white cookies to munch on later. He was as friendly and upbeat as ever.